Heathrow Airport's Terminal 5 is marking its 10th anniversary today. 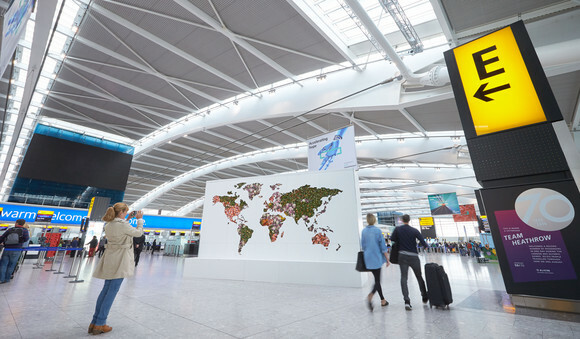 From sporting campaigns to a giant map of the world created with fresh flowers, Campaign looks back at some of the airport's most memorable activations and openings. During the London 2012 Olympic and Paralympic Games, special activities included the installation of 12-metre wide Olympic Rings to welcome passengers in Terminal 5 arrivals, the launch of Usain Bolt’s wax figure courtesy of Madame Tussauds and Olympic art exhibitions. In 2016, florist Larry Walshe created a giant map of the world using 2,000 fresh flower stems, studded with a textural tapestry of other curiosities, including raw amber stones and sandalwood. The living artwork was housed in Terminal 5 to celebrate the new season of fragrance. The installation offered insight into the four key fragrance notes of the new Autumn/Winter season: woody, fresh, oriental and floral, and fragrance preferences from around the globe. 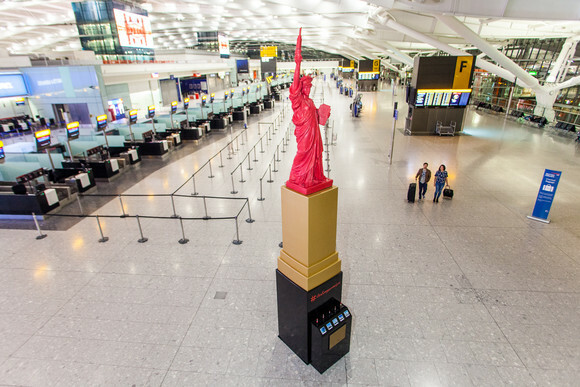 In May 2015, a towering two-storey-high (20 feet) replica of the Statue of Liberty made using actual lipstick, was unveiled at Heathrow Terminal 5. 'She' was created to celebrate the launch of the airport’s first International Lipstick Colours of the Year report, showcasing the most en vogue lipstick shades in 50 destinations around the world. 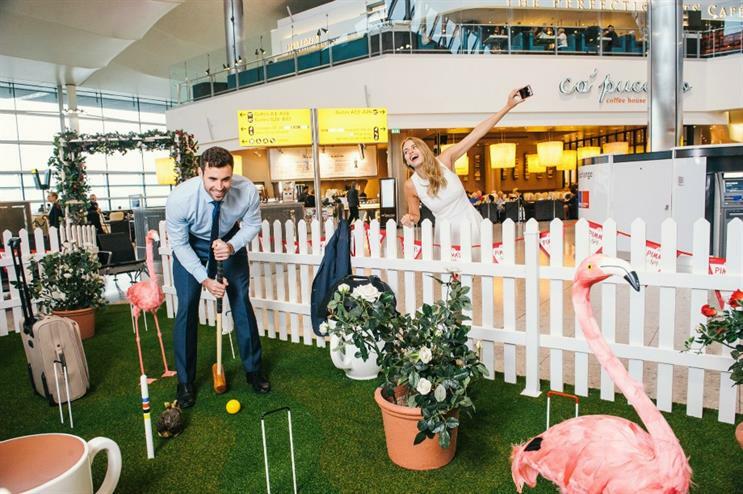 Staged in summer 2015 at Terminal 2, the campaign gave Heathrow passengers a truly British experience by giving them the opportunity for a game of Pimms-themed croquet during their journey through the airport. Restaurants at the airport added Pimms inspired dishes to their menu, giving passengers the opportunity to experience the best of the classic British beverage. 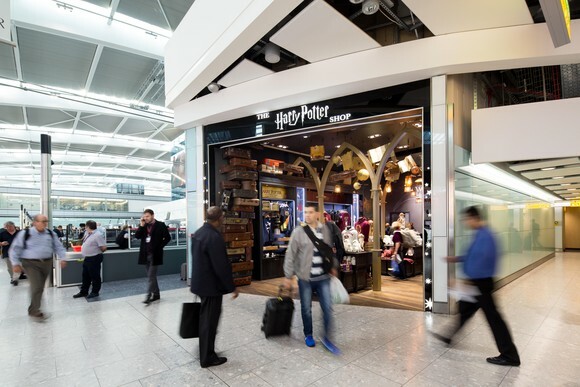 The first ever shop dedicated to Harry Potter and based in an airport opened its doors to passengers at Heathrow Terminal 5 in October 2016. The 600 square foot store opened the same week as the release of Fantastic Beasts and Where to Find Them, penned by JK Rowling, the writer of the Harry Potter books.